DELHI, Ont. — Corn grown in this southeastern Ontario region, on what’s known as the Norfolk sand plain, is a virtually writeoff — except where a handful of farmers installed subsurface drip irrigation systems. It was difference between disaster and success for Todd Boughner, manager of Judge Farms, and Jeff Lipcsik. The two spoke about their experience during a Sept. 7 tour hosted by Vanden Bussche Irrigation. Peter White ,who works at the University of Guelph’s Simcoe Research Station, has been keeping tabs on the Judge Farms project. It’s located on what’s known locally as a “blow sand” farm where 67 acres are irrigated using subsurface drip irrigation. The irrigation lines are laid about 38 centimetres deep and 112 cm apart. The line emitters, which spoon feed water to the crop, are 60 cm apart. Irrigation water, which comes from a spring-fed pond, runs through a filtration system before being directed with a three-phase, 30-horsepower pump to headers along six zones and then to the plastic irrigation lines. There are 50 pounds of pressure in the main lines and 12 to 13 lb. along the irrigation lines. Boughner said the farm’s corn crop was a writeoff in 2012 because of drought conditions, which led to the decision to install the system that fall. White said the irrigated acres at the farm yielded 260 bu. in 2013 compared to a respectable 165 bu. on non-irrigated areas. 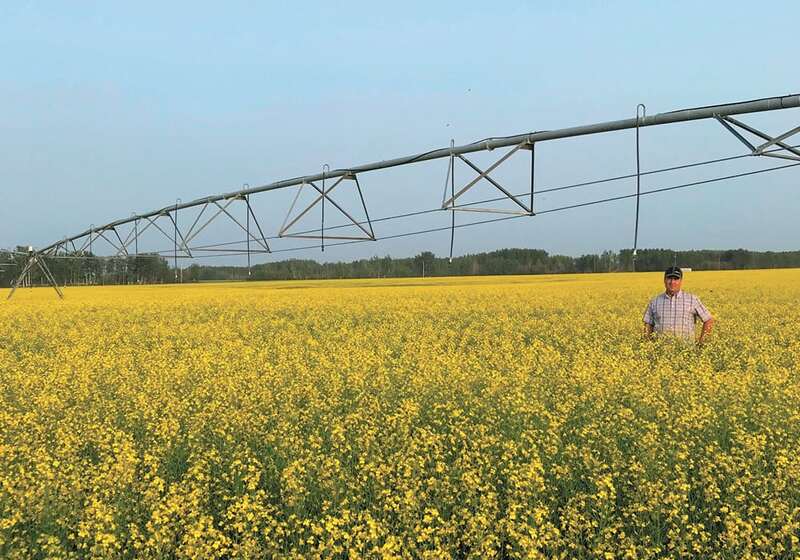 Results were similar at the Simcoe Research Station where the university has a small subsurface drip irrigation system and were repeated in 2014 and 2015. This year, it’s estimated the irrigated acres at the Judge site will yield close to 200 bu., compared to 35 bu. in the area relying upon rainfall alone. From the beginning of May until the end of August, less than 150 millimetres of rain fell in the area. In a typical year there’s about 350 mm. “We didn’t get any help from Mother Nature,” Boughner said. Boughner said that with the success of the 67-acre installation, Judge Farms plans to increase its irrigated acres. The farming operation, operated by brothers Jim and Robb Judge, has a corn and soybean cropping focus along with hogs and broilers. Boughner said the farm is allowed to use 1.4 million litres a day from the pond under its water-taking permit but only 880,000 litres have been taken. 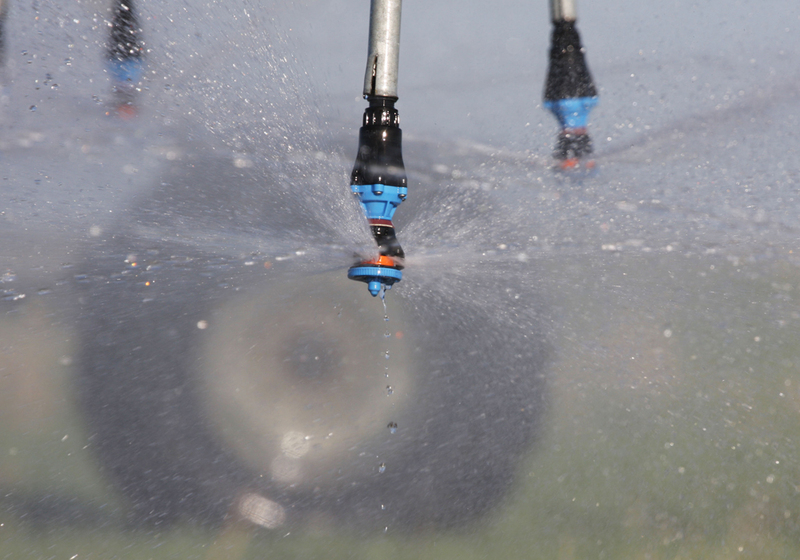 More than 25 mm of water has been delivered on a weekly basis, with irrigation events occurring daily. White said it’s important to maintain some water in the root zone. In bone dry soils, it would quickly move further down into the soil profile. The system has also been used occasionally to supply small amounts of nitrogen to the corn. That reduces the amount of nitrogen that needs to be applied before seeding or side-dressed. There appears to be a yield benefit and far less chance of nitrogen being washed into waterways in the event of a large rainfall. Lipcsik said he now has 106 acres irrigated with his system. Like Boughner, he said the system means less nitrogen needs to be applied up front. Marc Vanden Bussche, vice-president and general manager of Vanden Bussche Irrigation, said most irrigation systems, including subsurface drip irrigation systems, cost about $1,500 per acre to install. Boughner put the Judge Farms cost at $1,400 per acre, where there was an existing pond and access to three-phase electricity. Vanden Bussche suggested the system might best be installed after a crop like wheat because it requires a considerable amount of time and labour. Some subsurface drip irrigation installations in the United States are still working after 25 or more years, White said. A trencher is used for the main lines and headers. Specialized equipment is available to lay the irrigation lines. Rebecca Shortt, a specialist with Ontario Agriculture, also spoke during the tour. “They’re begging guys in Iowa and Kansas to put in this type of system because they’re a lot easier on the water table,” Shortt said. 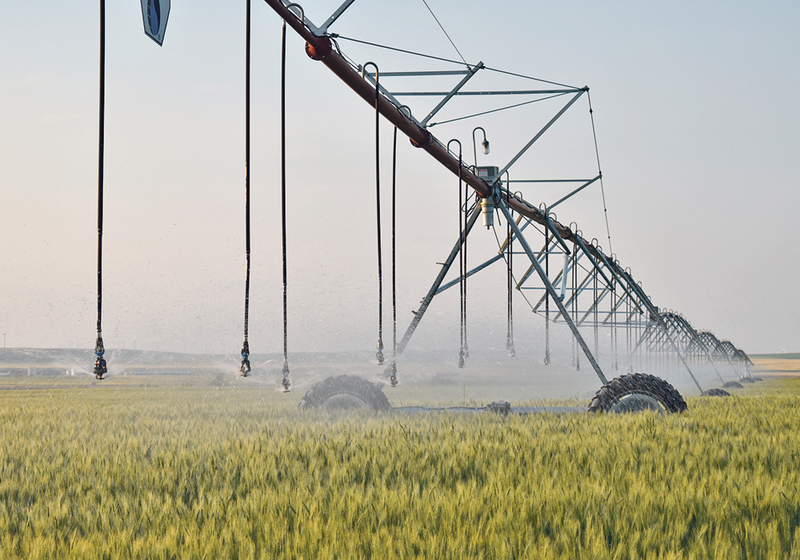 Subsurface drip irrigation systems lose 15 to 25 percent less water to evaporation compared to centre pivot systems and 40 to 50 percent less than large, travelling gun systems common to the Norfolk sand plain. Shortt said Ontario is blessed with a large supply of water. While just one percent of the fresh water in the Great Lakes is renewable, only one percent of the renewable resource is being used. 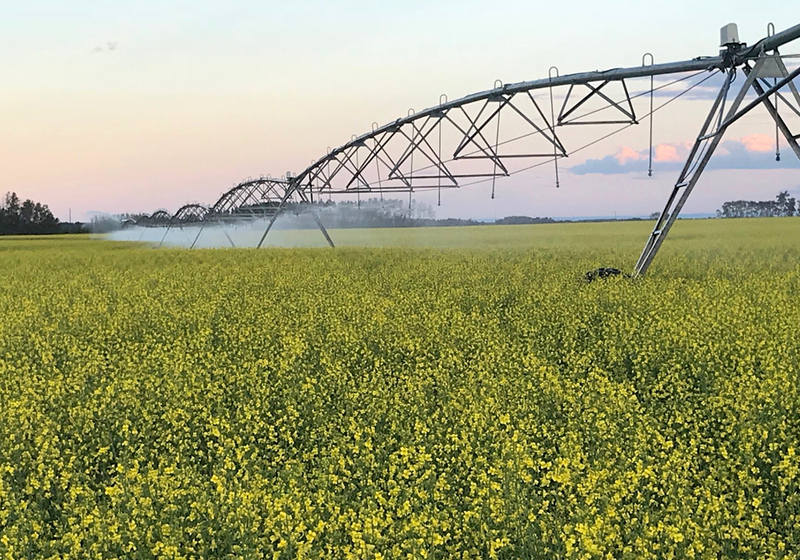 Irrigation asset transfer completed in Sask. 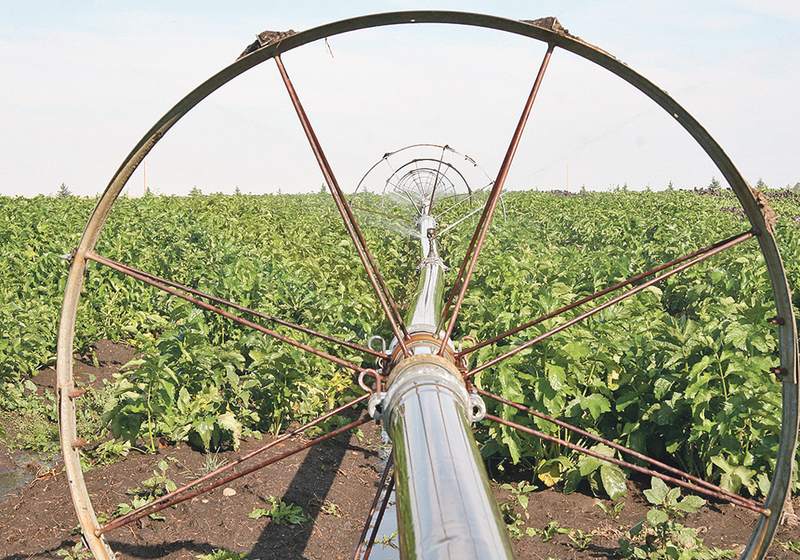 Irrigation transfer completed in Sask.